Leading Manufacturer and Exporter of Automated Industrial Machinery such as Single Spindle Automatic Lathe Machine, Radial Forging Machines, Ultrasonic Cutting Machines and Hydraulic Presses from Pune. Leveraging on our industry experience, we, sale and export a qualitative range of CNC Turning Machines that is widely demanded in the global markets. 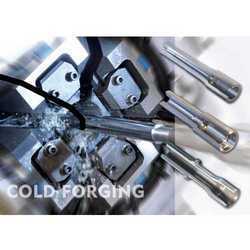 These CNC turning machines are precisely and accurately designed using the finest grade raw materials. 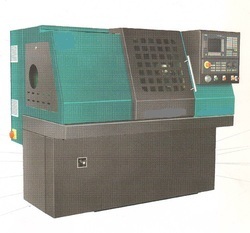 Our range of CNC turning machine is known for its performance and is also durable and sturdy. Moreover, our clients can also avail these machines as per their technical specifications. 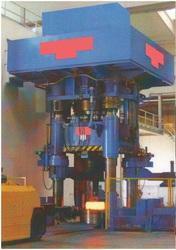 We at PMT, are also involved in supplying exclusive Hydraulic Presses as per our client's requirements. Our principals from Europe are well experience in this field for about 60 years. They design and manufacture special machines and entire plants for various industrial fields. The exclusive wide ranging experience of our principals have gained throughout the years enable them to solve the most diverse problems related to metal deformation. They supply everything like machines, plants, specific equipments and dies and guarantees the quality of the end product. They not only build presses, but also drawing systems able to ensure automatic systems characterized by high productivity and great flexibility. In this field, their production ranges from the traditional machines to the highly sophisticated systems, equipped with several actions and independent pressing stations, provided with sheet layer-ons, transfer units etc. managed by a MULTIPROCESSOR control system with forces ranging from 100 tons to 15,000 tons. Our principal's machines are distinguished by the utmost reliability and efficiency whereas drawing systems are designed and carried out to the most modern and current technology. We Perfect Machine Tools Co. Ltd. having commenced our business in the year 1947. Besides our own manufactured products of Radial Forging Machines, we also market many products which we do not manufacture. We are the sole sales and services representatives for many of the renowned overseas and Indian machine tool manufacturers for the last more than 6 decades. Having served the large industrial sectors like Automobiles, Defence, Aeronautics with various advance machine tools equipments; we always pursued for most advanced and futuristic machine tools and manufacturing technologies. Here we are overwhelmed to introduce the global giant in manufacturing forging machines, our Principals M/S GFM GMBH of Austria, as a manufacturer of specialized forging technology (Radial Forging Technology) machines since 1945. Having the large global market presence with more than 80% of the global market share till date, GFM has been the most reliable supplier to European and US Groups like GM, Ford, ZF-Steering, Carpenter Tech, Erasteel, GKN, Magna, Mubea, Daimler & Chrysler, Delphi, Hirschvogel, Muhr & Bender, VoestAlpine, ThyssenKrupp Bilstein, Vallourec & Mannesmann Tubes (global giant for manufacturing seamless tubes), Opel, etc. We already have 21 machines in India Special applications and Railways for Axles and recently 2 machines for automobile applications. Short Cycle Time - Forming cycle time considerable less than machining time. Improved Work Piece Quality - Surface finish and dimensional tolerance. Ideal Material Grain Flow - Leads to improve impact and fatigue strength. Material Savings - Material not removed but formed, results higher material utilization. Reduced Changeover Times - Tool change within minutes, all process parameters stored in CNC. Reduced Downtime Through Automatisation - Full automatic production with CNC - load/unload with robot. Fewer Manufacturing Sequence - Simultaneous outside and inside contour, even with complex shapes. No Temperature and Material Restrictions - Both steel and non ferrous material can be processed at any temperature. No Surface Preparation Required - Depending on application, this technology does not need phosphating or even annealing prior to swaging. High Degree of Uniformity - Through ‘incremental deformation’ highest homogeneity. 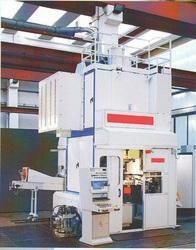 Top Tolerance - One can get H9 tolerance for OD and H7 for ID, for the components on these machines. Drive shafts for Car, front- and rear wheel drive. Torsion Bars (Balancers) for Car Suspension system. Intermediate shafts of Transmission system. Steering Columns, Valve body, Hollow shaft, Upper/Lower Shafts. Spindle Ends / Tube / Pipe Formed Ends. To furnish the diverse requirements of our clients in the best possible manner we are involved in offering an extensive range ofMechanical Presses For Brass And Aluminum Forging. Looking for Automated Industrial Machinery ?